Q3:What's your pallet size9 A3:Usually use 1100mm*800mm standard export pallet, can customzied. Q4:Can you print my logo on the batteries9 A4:Yes, OEM is accepted. Q5:What's your payment terms9 A5:We accept TT, 30% TT in advance, 70% balance before shipment. We mark code on each solar battery; so as long as you have any questions, we can check product production information. The plastic containers and covers of old batteries are neutralized, reground and used to the manufacture of new battery cases. In some cases, the electrolyte is cleaned and reprocessed and sold as battery grade electrolyte. Production base is located in Jiangsu Province, the only approved Yangzhou battery has been built within the industrial park. Our products are mainly used in: solar lights, garden lights, solar hybrid street lighting, solar photovoltaic power generation in various fields of emergency lighting, communication systems, power generation systems independent users, as well as road vehicles and other new energy sources. Aerosil is from Germany c: low logistics charge , large bulk exporting indicates our low cost in FOB and CIF , we have our own ship company d.
3 YRS Nanjing Xia Hua Electronic Co, Ltd.
With more than 11 years producetion experience, we can guarantee the stabilities and high performance of batteries. 2 Is it maintenance free lead acid Sealed Lead Acid Battery 9 Yes, it is sealed maintenance free Sealed Lead Acid Battery Q. 8 Do you offer free samples for testing9 Yes, we can, but the clients need pay the freight. Q. 9 YRS Guangzhou Jalon Power Co., Ltd.
&diams; Low Self Discharge Using high purity raw materials ensures Prostar batteries have less self-discharge. is a manufacturer of all kinds of batteries with well-equipped testing equipment and strong technical force. What kind of guarantee you give9 Our battery products can be used for more than 3 years. 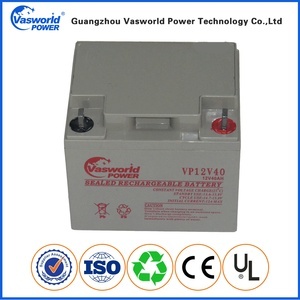 Long life rechargeable maintenance free vrla solar agm 12v 12ah exide ups battery deep cycle battery Key Features : &diams;Gelled electrolyte made by mixing sulfuric acid with silica fume. Max Power adopts the world&rsquo;s most advanced production equipments and testing instruments to guarantee highly quality products with long service life m highly energy density and excellent performance. Q5:How long is your delivery time9 A5:Normally,the whole production cycle need 15 days from material to finished products,but we can send goods within 7-10 days,because we have lead in stock. is a state-of-the-art company devoted to the research, develop and manufacture of lead acid batteries and Lithium Batteries. That's why Fortune Power has grown to a well-known and the most reliable storage battery brand at home and abroad. 2) Negative Plates: Use the special PbCa alloy grids, optimize the recombination efficiency and less gassing. 6 YRS Xiamen Songli Import & Export Co., Ltd.
2. Using special polybasic lead base alloy grid with high corrosion resistance and charge acceptance. 4. Using high quality superfine glass fiber liquid-suction battery technology to exceed 99% gas recombination rate. 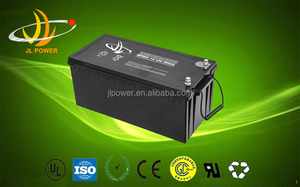 our dream : supply every customer with the suitable high quality battery to seek long term business cooperation. D.
Alibaba.com offers 2,432 12v exide battery products. About 70% of these are storage batteries, 13% are rechargeable batteries, and 5% are auto batteries. A wide variety of 12v exide battery options are available to you, such as ups, car, and motorcycle / scooter. You can also choose from free, general. 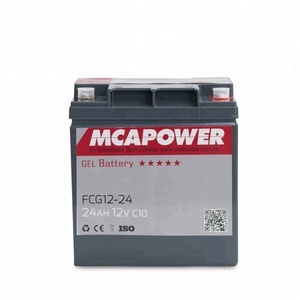 As well as from acid lead battery, mf battery. And whether 12v exide battery is 81-100ah, > 150ah, or 101 - 150ah. 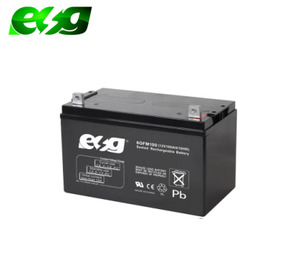 There are 2,432 12v exide battery suppliers, mainly located in Asia. The top supplying country is China (Mainland), which supply 100% of 12v exide battery respectively. 2v exide battery products are most popular in Domestic Market, Mid East, and North America. You can ensure product safety by selecting from certified suppliers, including 1,340 with ISO9001, 667 with ISO14001, and 642 with Other certification.